Join Dr. Estés to both honor the feast day of Guadalupe and celebrate the Blessed Mother through stories, prayers, and blessings. The Blessed Mother appears to us in many guises and disguises. No matter what visage, no matter what part of the world, she comes to us in our need with irresistible strength and inexhaustible love. 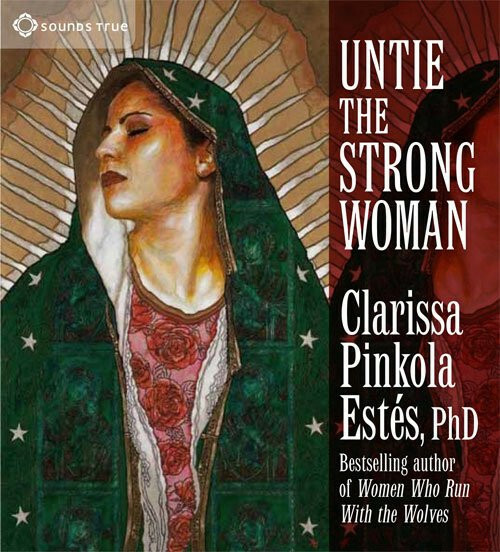 Join Dr. Clarissa Pinkola Estés for the Untie the Strong Woman series—four unforgettable evenings of stories, prayers, and blessings. "There is a promise Holy Mother, Our Lady makes to us," explains Dr. Estés, "that any soul needing comfort, vision, guidance, or strength can cry out to her, flee to her protection, and thus, Blessed Mother will immediately arrive with veils flying. She will place us under her mantle for refuge, and give us that one thing the world so longs toward: the warmth of The Mother's most compassionate touch, and strong guidance about how to and which way to go, by the soul's lights." In this online event, Dr. Estés invites you to encounter the force of Immaculate Love—so that your memory of Her is renewed, or else knowledge of her miraculous, fierce, enduring ways is drawn into your heart for the very first time. Join Dr. Estés to celebrate this universal force that invites us to see, to forgive, to be bold, to love, to read signs, and to listen to angels.